For companies that need positions filled immediately, scouring job boards and conducting interviews are setbacks they can’t afford. tilr in Cincinnati hopes to vanquish the void and give companies a competitive edge by creating a job marketplace powered by something more straightforward: artificial intelligence. tilr’s matchmaking process is designed to eliminate the need for a resume. Individuals download the app, take a skills inventory assessment and then go through an interview with a tilr ambassador, all of which take the place of the interview process. Using artificial intelligence, tilr hopes their algorithms can present offers to job seekers within minutes of a position going live by matching their skills to the job’s requirements. tilr’s algorithms don’t only speed up the time between posting and hiring — they also hope to eliminate discrimination and inaccessibility from the recruitment process. Instead of viewing a candidate’s profile or job titles, the skills themselves provide point of entry. tilr also makes it a priority to provide the same benefits offered by full-time employers, including health care, financial services and training and development. RecruitMilitary said its collaboration with Google gives service members a more effective means to match their work experience in the military to a job in the civilian world. Through technology developed by Google, the military job seeker enters their M.O.S.code, which stands for military occupational specialty. By adding the city and other factors such as geographic distance, the RecruitMilitary job board produces listings that translate the applicant’s military job skills to the civilian job market. The collaboration with Google is only a few months old, but RecruitMilitary said the enhanced search function has already had an impact. RecruitMilitary reported that applications by veterans on the website went up by 13%. The company said there has been a 50% increase in the number of jobs that come up in a search. Chris York, a client partner at RecruitMilitary said the job board is now being used by 1.4 million users. Online job advertising revenue grew 14% in constant currency, reaching USD 13.9 billion in 2017…The largest three firms are Recruit Holdings, Linkedin, and SEEK. 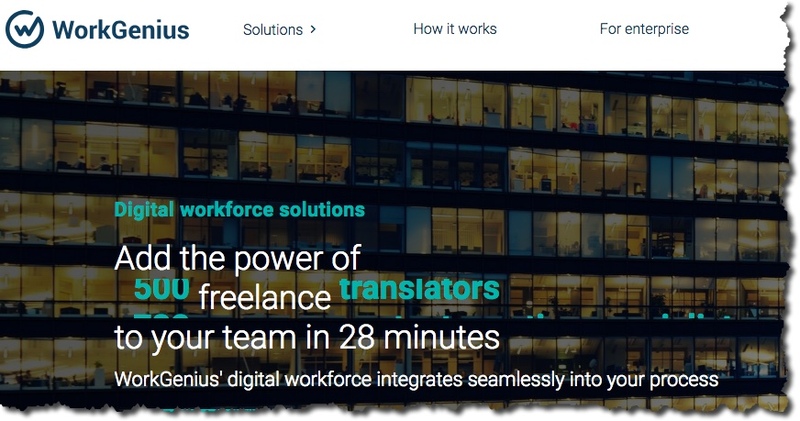 Community Brands, the leading provider of cloud-based software for associations, nonprofits, schools and faith-based organizations, today unveiled a deeper integration between the company’s Crowd Wisdom learning management system (LMS) and YM Careers job board solution. The new capabilities enable associations to promote relevant professional development courses and programs to individuals who visit the association’s job board. With the new feature set, learning courses and programs from Crowd Wisdom are dynamically shown within YM Careers based on job search queries as well as the attributes of a job seeker’s resume. Promoted learning programs are included on the main job board, within job search results, and in the resume upload process. The resulting user experience is one that is both unique and personalized. The enhanced features add to an existing integration between the two solutions, which allows for the presentation of relevant job opportunities to learners, within the Crowd Wisdom learning portal. Job seekers benefit from a clearer understanding of the courses or credentials that may be needed to pursue new career opportunities. They can also act on relevant association learning and education opportunities right from the job board. The new capabilities allow associations to increase engagement and purchases of their learning programs, generate additional non-dues revenue and acquire new members from job seekers who are exposed to the broader value offered by the association, and who decide to join as a result. 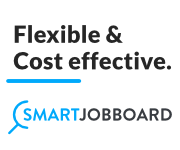 The new owner of Greenjobs.com, a premium job board domain name has relaunched the business as a new job board on the SmartJobBoard platform. I helped launch the site recently via my concierge service. Adam Yamada-Hanff, who owns the site, tells me that in addition to typical green jobs like solar, he will be adding a new “green” job to the mix….cannabis jobs. He got that idea after people started guessing that green jobs meant weed to them. Sounds like a market opportunity. Green jobs reached a peak fever in the early 2010’s and I even had a site for them back then. Today the biggest part of that market is solar jobs which are still going strong and growing each year. Adding cannabis jobs to the site couldn’t hurt and should provide a boost in traffic. Launching a job board with a great two word domain like Greenjobs.com will be a key part of its success if it does well. This domain brings with it credibility and trust which will attract visitors. In fact, it already receives type in traffic from people wondering if it exists so that intent bodes well for the newest member of our job board community. If you are looking to enter the job board business here is a good list of what jobs will be hot. 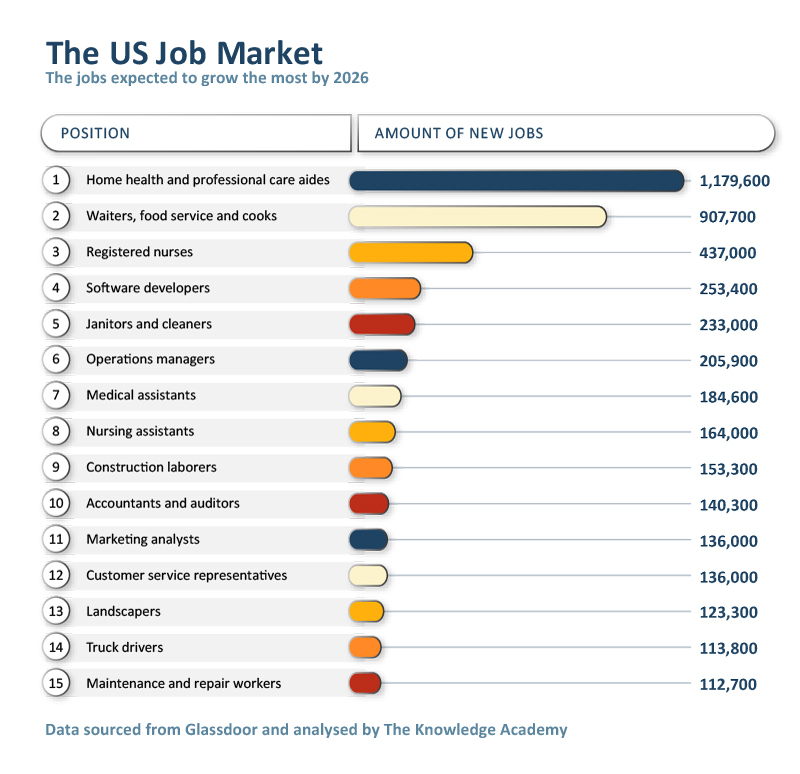 A job site needs a strong job market to succeed so stats like these are good to have as you discover which niche you want to target. 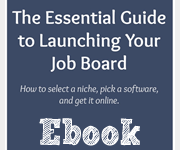 To me, I think #1 and #5 and #15 would offer the best opportunity for a new niche job board that targets those roles. There aren’t many specific sites that target those industries. To my knowledge no job board exists today for janitorial/cleaning jobs. That could be an opportunity to explore. We have a new entrant in the job board software market. It’s called Job Board Fire. It is completely free to use and makes money through a 10% rev share component. Below is a quick screencast from my Youtube channel. If they keep iterating they have a chance to succeed, but may need to charge for the product eventually. Giving it away for free is good for getting new customers but the majority of their customers probably aren’t making any money yet. As of now it is a very basic product and will need many more updates to ensure they stick around. Nevertheless, It’s good to see a new player in our space. Just spotted: Technical.ly Match beta, a double opt-in direct placement service that “fits the needs of today’s workforce and promises to deliver only quality results to both sides of the process.” It is targeted for Mid-Atlantic states like Pennsylvania, Delaware and Maryland. In a stealth pilot, the site claims more than 2,000 Technical.ly readers from seven states opted-in and 10 companies are actively matching with them. Companies such as Philadelphia-headquartered Chariot Solutions and Maryland-based Stanley Black & Decker have found technical hires through them. Tecnical.ly claims a handful more that were placed during their pilot. Visit the site. They are pitching the platform as a talent to company matchmaker. That could be just be a fancy word for job board because I noticed at least some of the applies went tot he company email address. Pretty simple, but still effective. 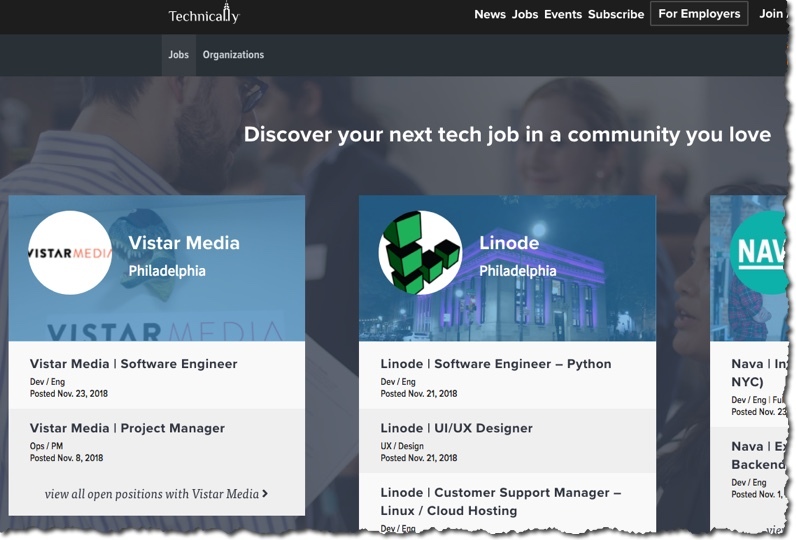 Technical.ly is also an online community for the tech industry in the area it serves. 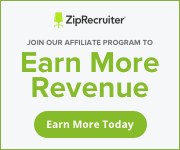 Other sites like this include VentureFizz for the Boston area. They started with content around news, events, startups and eventually added jobs to the mix. This formula is what I mean when I tell job board owners to ‘create a community of like minded professionals‘. Starting a job board today? Good, but first you must build a foundation. Spend your first year building up an audience so that eventually jobs make a natural evolution in your offerings. This means focusing on content—and lots of it. Blogs, podcasts, videos, events will enable you to find and keep the audience you need. You can still launch with jobs on day one but your primary goal should be creating content that resonates in your niche. I caught this ad on TV for Veterans Day last week. Google is promoting their job search feature for veterans. I wonder if this means that Google will be entering the TV recruiting wars alongside Indeed and Ziprecruiter as they try to build the Google Jobs brand? RussMedia Solutions is an international company that offers job software services for online businesses. 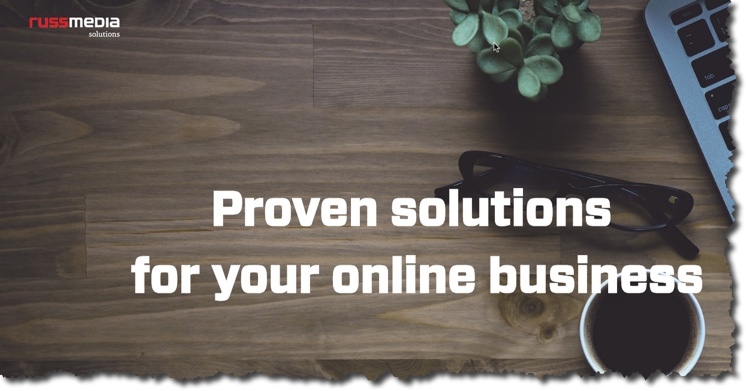 From what I can tell they seem to offer a good value and they tell me they are flexible when it comes to customizing packages and platforms to their clients’ needs. They are not a big player yet, but may be worth your while to give them a look. 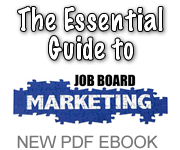 Job boards are their strong point, but they do just as well with other verticals like real-estate, cars or general. Their portfolio includes even a horses classifieds portal. They tell me that since they are early adopters of a “microservice architecture” approach, they give their clients more flexibility which help saves money on support hours needed. 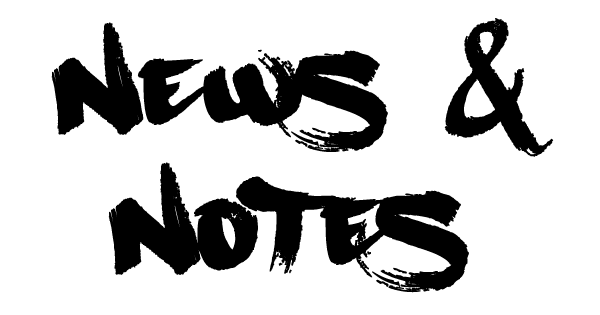 I conducted an email Q&A with Adrian Daniel, their Chief Revenues Officer. Find them online at russmediasolutions.com. 2. When was it started? RussMedia, our parent company is almost 100 years old and has activity in the online media for decades, RussMedia Solutions began it’s activity in 2005 as the software development department of InformMedia. the digital media department at the time. It started with only 3 developers based in Oradea, Romania. We started to develop online portal solutions as our first project came to be – We took on the development and maintenance of news, job, car and real estate portals, all developed in .NET frameworks for our news brands. Today our software powers over 100 digital brands. While for our news platform we continue to develop WordPress as solution, Symfony powers our recruitment platform. Our team consists of more than 30 dedicated developers. We apply a structured approach to development, supported by dedicated project managers and product owners. Today our expertise includes digital marketing, user experience, SEO and conversion rate optimization. 3. What sites do you power? 4. Major features of the platform? We have many features available for our platforms, just to name a few relevant for the job boards we have semantic search smart apply, powerful analytics, job alerts, advanced filtering capabilities plus many other microservices. Semantic search – Features like semantic search will help your users generate better search results and more relevant. This feature will search the correct form of a word even if your users type it wrong. In other words, it’s also typo tolerance and this is great! Smart apply – Sometimes we need a little bit of help when it comes to digital creation. In this case, smart apply is the best tool for a user who is not familiar with how to write a CV. This feature will help your users to automatically convert documents or different types of information into digital CV-s. Powerful Analytics – Keeping track of where you are is one of the most important things. With our analytics tools your clients will be able to see how they are performing and most importantly, they will see which are those job posts that perform the best. Job Alerts – Exactly as in social media, alerts are a big part of a persons’ experience. 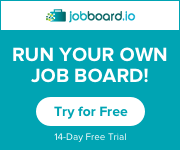 Having job alerts will keep your users tuned to your job board and will help them keeping track of the most interested job posts the are present on your platform. Filtering – Filtering is great. Having the possibility to see only the things you want to see is key to every successful business. Instead of having all these kinds of the information your users can now filter their searches, so they can have a better look to what they’re interested in. 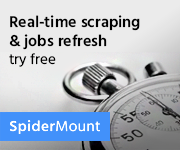 Many more incredible features – Get a list of all the great features of our job boards by scheduling a demo with this. This will give you clarity of everything what we can do for you. 5. Can you breakdown your pricing options? We have fixed set-up fee that starts at 6000 euros, depending on the size of the project and then we have a monthly fee starting with 1000, again depending on the size of the portal: users, content, traffic. 6. What type of support do you provide? 7. 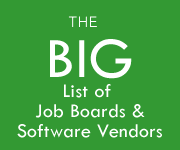 What advice do you have for new job board owners to help them succeed? Planning for at least 30% plus of what you expect in traffic and users, so you can scale easily and make sure you will be sustainable over time. Also try use the microservices architecture model instead of the monolithic approach to make sure management and transition will be easier to handle. We have some really good feed-back from our existing customers on this new approach and the main gain is less time and money spent on development. This, at least for us, leaves more time for innovation and research. Take data driven decisions. Develop and/or implement features based on data intelligence, testing. There are a variety of what I would call ‘next generation’ type job boards getting funded across the globe. Many of them are built around matching technology and other features for helping candidates find the right fit. Below is a roundup of the latest tools receiving funding, many of which are coming from other countries. When job seekers register on BoostMe360.com, they complete a personalized profile, including a short video or audio clip introducing themselves to prospective employers. Employers are able to customise the filters to match the required skills and interests of the job posting. Potential candidates receive an SMS, email and profile notification to be interviewed or hired, if they go on to be hired, they earn additional points against their profile on the platform, as their employer rates their job performance. The more points these contract workers earn, the higher they rank among candidates registered on the portal. Rota is a tech focused startup that provides an app to supply high-quality staff to leading venues in five major cities across the UK. The company now has over 5,000 active members and operates in London, Birmingham, Manchester, Leeds, Edinburgh and Glasgow. Founded in 2014 by CEO Razvan Creanga and COO Mark Chaffey, hackajob allows companies to hire technical talent based on skills rather than backgrounds. With hackajob, clients are automatically matched with curated candidates from their talent pool of over 60,000 technical people and can view their code or cloud infrastructure implementation alongside their profile. From there, companies can manage interviews, integrate with existing ATS’s and ask candidates to complete specific challenges unique for their company, built by hackajob. Founded in 2017 by Charlie Fogarty, COO, Lorem provides a platform that connects business owners to a curated, professional network of freelance website designers and developers to work on task-based projects at an affordable price. By conducting an assessment of a freelancer’s technical background, professional experience and client service, the company assures businesses are matched with the right expert to address their design and development needs. It originated from the Boston Techstars accelerator. 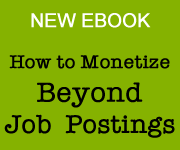 If you want to know where job board technology is headed, the above sites offer a glimpse into that future. I think matching technology is something traditional job boards will have to adopt to remain relevant. 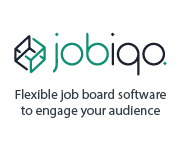 The folks at Jobiqo have some of that technology built into their platform. 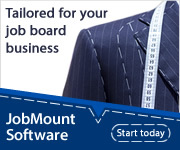 I hope that other job board software providers will follow suit. Of the 4 new products mentioned above, Hackajob’s technology seems to be the most impressive. Lorem is entering the freelance space dominated by established players so I’m not sure we need another freelance marketplace. But its early in the freelance evolution so they may have a chance at success.